The summer of 1992 my parents took my siblings and I on our first Disney trip. I instantly fell in love! Fast forward to 2006, when my parents took my family to Walt Disney World again….this time with my 3 and 5 year old children. Their is nothing like experiencing Disney through the eyes of your children! My children are now teenagers and love Disney just as much now as they did in 2006. In my “other” life I am a NICU RN. Working in a large hospital, I often had coworkers asking me to help them plan the perfect vacation and I was glad to help. This became my passion and I was excited to be welcomed to the Mouse Made Simple team in 2016! I have experienced Walt Disney World with children of all ages in addition to extended family vacations and adults only! 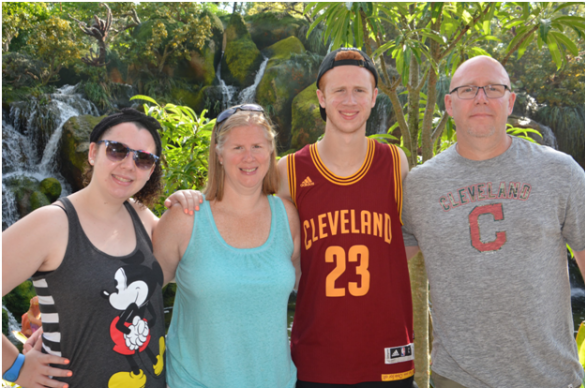 In addition to countless trips to Walt Disney World, I’ve had the privilege to visit Universal Orlando, Sea World, Club Med Ixtapa and cruise over 10 times with Disney Cruise Line, Carnival and Royal Caribbean. I look forward to helping my clients plan the perfect vacation….whether it be a Disney Destination, Universal, all inclusive or cruise vacation! I plan each and every trip as if it was my own.